Russian-American cellist Gregor Piatigorsky, author of a hilariously funny autobiography ("Cellist"), has been one of my heroes for a very long time. Like my own teacher William Pleeth, he studied with Julius Klengel in Leipzig, and his recordings capture some of the most beautiful cello playing that I have heard in my entire life. I keep coming back to his Dvorak Concerto, the Schumann Fantasy Pieces, his Beethoven Sonatas (with Solomon), and of course many chamber music recordings from the Heifetz-Piatigorsky concert series. 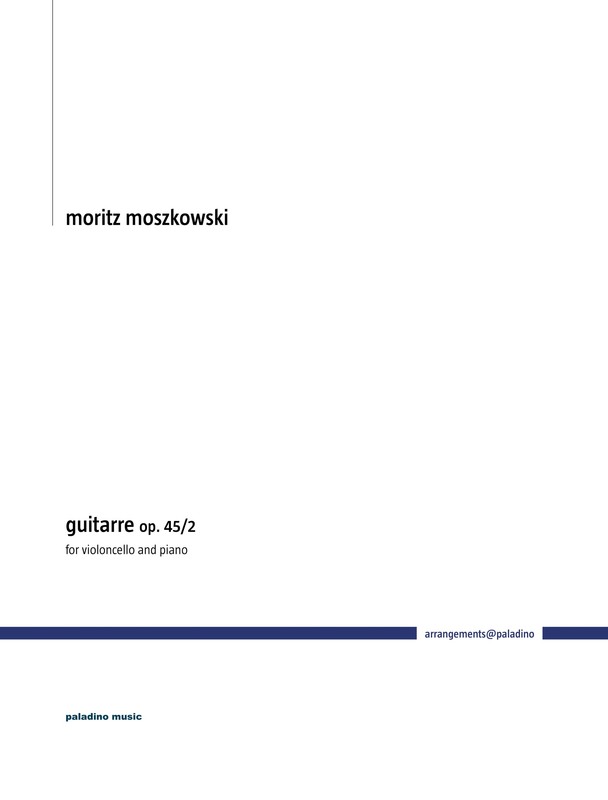 His recording of Moritz Moszkowski's "Guitarre" has always been one of my favorites, and with this arrangement I pay tribute to one of the greatest cellists of all times. 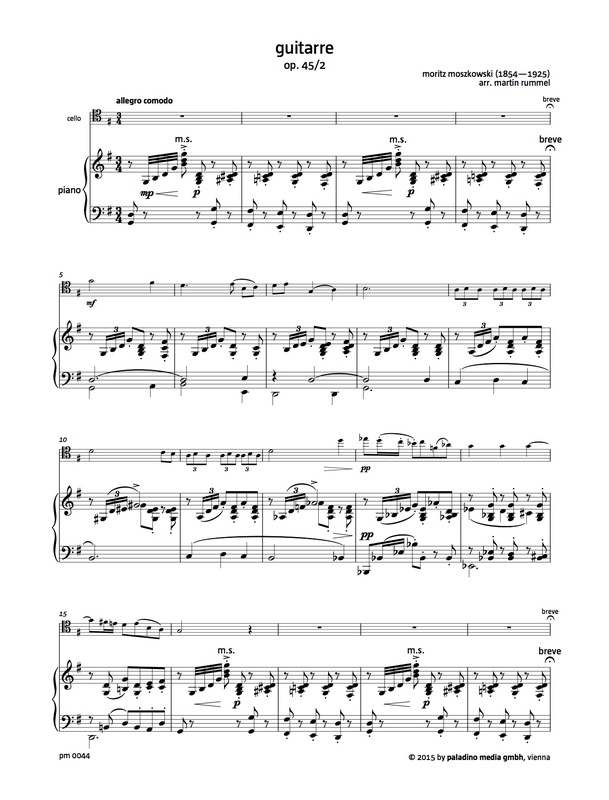 Inspired by his version, I made my own little additions to Moszkowski's orginal and hope that this brings joy to many cellists and audiences. Have fun!